Indonesian Legal Brief (ILB) offers analysis of new laws and regulations and is published online every day, as well as emailed directly to our customers. ILB is offered in both English and Indonesian versions. Indonesian Law Digest (ILD) offers more in-depth analyses and reviews of all the latest legal developments, as well as comprehensive analyses of recent legal cases and court decisions. Monthly Law Review (MLR) is a monthly publication that features summaries of all of the latest government-level laws and regulations. MLR makes it easy for our customers to monitor the latest business laws and regulations, as well as the current legal landscape. Through concise reviews which are realized in trustworthy, lucid language and enriched by reliable and accurate references, laws and regulations can be more easily understood. Moreover, so that our customers can gain a more complete understanding, each of our studies comes furnished with breakdowns of the relevant related rules and links, which are fully integrated into the Hukumonline.com Data Center. Through our daily studies, analyses and reviews of the latest laws and regulations, corporate decision-makers can gain access to benchmarks, indicators and standards which can effectively aid the implementation of policies in accordance with government regulations and which can ultimately have an impact on the company or institution being managed. The various laws and regulations under review are handled by our experienced team of analysts and experts, all of whom have legal backgrounds, and saves our customers both time and money on legal research. Our reviews of laws and regulations offer discourse and knowledge which can enhance compliance with corporate law and thus minimize risk, be it civil, criminal or administrative. 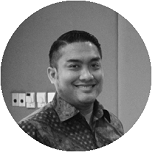 "Every lawyer in Widyawan & Partners has a mission to provide only the best service in catering our clients’ needs in legal realm. 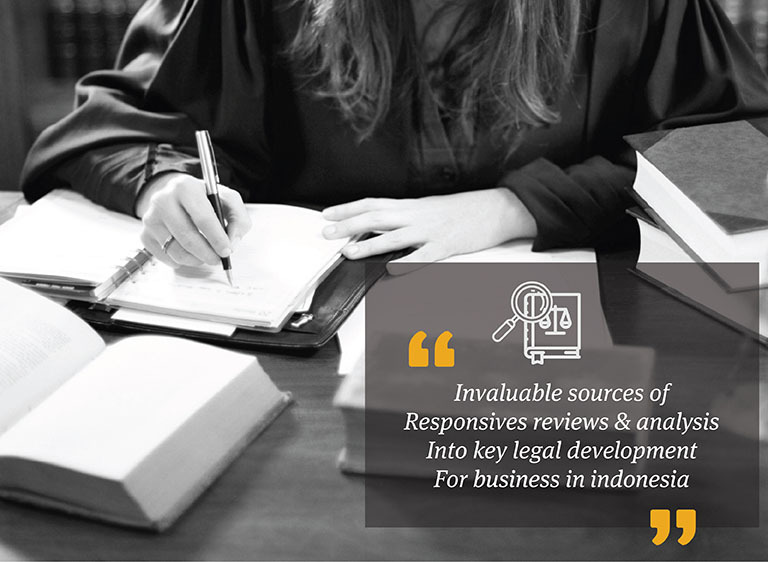 In order to achieve the quality we aim for, we manage to tailor our service by relying to the best sources and Hukumonline is one of the best companies to count on in looking for the updates and references on Indonesia’s legal developments." 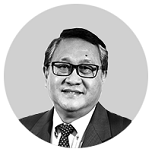 "Being an in-house counsel, I am required to stay updated on the current legal developments in Indonesia in order to decide the best strategy for my company. Therefore, I am truly grateful for Hukumonline for its comprehensive and updated sources of Indonesian legal developments, along with the supporting analysis and reviews, which enable me to perform better in my job."